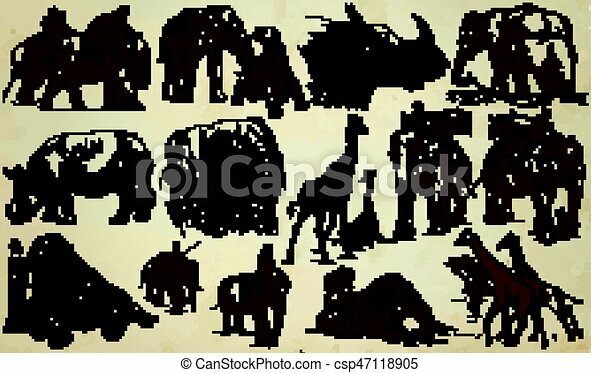 BIG AND HEAVY animals around the World.Collection of an hand drawn vector illustrations. Freehand sketches. Line art. Each drawing comprise of a few layers of outlines. Colored background is isolated.